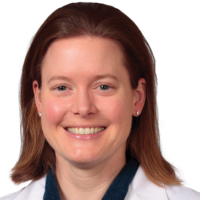 Dr. Sue Spano is a graduate of Temple University School of Medicine and completed her emergency medicine residency at the University of California San Francisco Fresno (UCSF Fresno) program. She completed a Wilderness Medicine fellowship at UCSF Fresno following completion of her residency training. She currently serves as Director of Wilderness Medicine Education and Assistant Clinical Professor at the University of California San Francisco. Dr. Spano also volunteers on the Fresno County Sheriff’s Search and Rescue Mountaineering Team. Over her career, Dr. Spano has been a community education advocate regionally, with a televised Wilderness Medicine special aired on the Public Broadcasting Station (PBS), as well as serving as invited faculty for numerous national conferences.